NSSE Accreditation Toolkits provide suggestions for using NSSE results as evidence to support your institution's accreditation efforts with an emphasis on mapping student engagement results to regional and professional accreditation standards. Toolkits provide suggestions for mapping student engagement results to regional accreditation standards. We also offer sample timelines to help you decide when and how often to collect student engagement data for integration into your accreditation process. Finally, we offer examples of how other institutions in your region have used NSSE in their accreditation efforts. 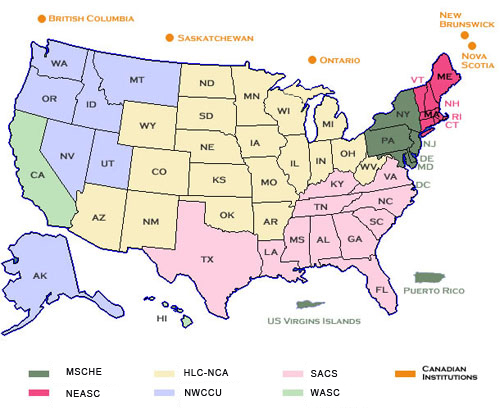 Guidelines map NSSE survey items to professional accreditation standards related to specific areas of specialized study. I liked the idea of the Accreditation Toolkit in which NSSE questions are linked to the Middle States standards. I plan to develop this theme on my campus and involve NSSE data in accreditation reports. I liked the presentation about the NCA accreditation visit because it gave me a real example of what the school needed to work on, and how it used NSSE data to improve. When we are up for accreditation in the next couple of years, I can use NSSE data to look at those same areas and see how our campus is going, and what, if anything, needs to change.